Greensill’s global team comprises the best and the brightest in the industry. Our board of directors represent many decades of combined experience at the highest levels of global finance, our executive team has worked together for close to 20 years, and our IT and sales teams are packed with specialists from the cutting edge of FinTech. "Greensill created a positive relationship with our supply chain and can help us negotiate favourable pricing and trade terms with our suppliers." Lex is the co-founder and CEO of Greensill. Lex previously established the global SCF business at Morgan Stanley and led the EMEA SCF business at Citi. 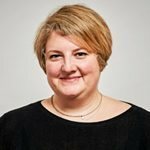 Lex holds an MBA from Manchester Business School and is a Solicitor of the Supreme Courts of England and Wales, and Queensland. Lex was recently awarded the CBE for services to the UK economy. Jason is the co-founder and President of Greensill and Vice Chairman of the Supervisory Board of Greensill Bank. 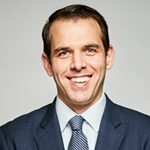 Before co-founding Greensill, Jason was the Legal Counsel for Morgan Stanley and Citi’s Supply Chain Finance teams, having had a legal career for twelve years prior to that. Jason holds a BA degree in Jurisprudence from Oxford University and an MBA from Manchester Business School. Maurice is Chairman of Greensill. 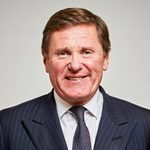 Prior to joining Greensill, Maurice held a number of senior positions at some of the world’s largest financial institutions over his 33 years in banking. Maurice was Global Head of Equity Capital Markets at SG Warburg, Global Head of Investment Banking and on the Group Executive Committee at Deutsche Bank. Most recently, Maurice worked at Citi where his roles included Vice Chairman of Banking, Head of Continental Europe for the Corporate and Investment Bank, and Country Officer and CEO of Germany and the UK. John is a co-founder and Chairman Emeritus of Greensill. He is a US-based entrepreneur involved in real estate, financial services, manufacturing and agriculture. Pat is Chairman of Greensill US and Global Head of Construction. 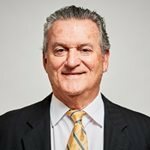 Prior to joining Greensill, Pat was co-founder, Chairman and CEO of Textura Corporation, a business process provider for commercial construction projects. Pat led Textura from its foundation through to its public listing on the NYSE. 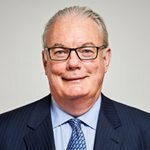 Pat previously held senior roles with Moore Corporation and was both an audit partner in Canada and a consulting partner in the US with Price Waterhouse (latterly PwC). Pat’s last role at PwC was COO of the Global Consulting Practice. Pat is a Canadian CPA and has a degree in business and economics from the University of Toronto. Roland is the Vice Chairman of Greensill Group. Roland leads Greensill’s origination and structuring solutions for clients globally. 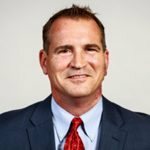 Prior to joining Greensill, Roland led the trade finance group for Citi North America and previously led the supplier finance business for Morgan Stanley Global Capital Markets in North America, having worked for Credit Suisse, JP Morgan Chase and ConAgra. David is a Non-Executive Director of Greensill and Chair of the Global Executive Committee. David was formerly Chief Operating Officer of Morgan Stanley’s securities businesses, and subsequently Chief Operating Officer of MSCI, a $7bn NYSE-listed provider of Investment Analytics. David is also a Crown Representative in the Cabinet Office of the UK Government advising on procurement practice. Other board positions include being a Director of Preqin, a provider of Private Asset Class data and Deputy Chairman of the Monteverdi Choir and Orchestra. David holds a BSc from Imperial College, London and an MBA from Manchester Business School. 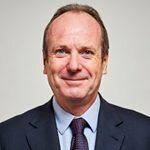 Prior to working at Greensill, Bill was a senior civil servant for eight years, most recently as the UK Government’s Chief Commercial Officer managing £40bn of government spend and driving over £5bn of savings. He previously founded and chaired the UK Government’s Crown Commercial Service and was its first executive Chairman. Bill spent 25 years in the private sector before this, with 21 of those in Accenture where he was a Senior Executive and sat on the UK Board. 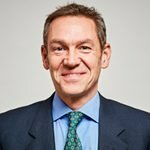 He holds a degree from the University of Manchester, is a Fellow of the Institute of Chartered Accountants in England & Wales (ICAEW), a Chartered Fellow of British Computer Society, and a Fellow of Chartered Institute of Procurement. Bill is also a member of the CIPS (Chartered Institute of Procurement and Supply) governing Board. David Solo served as Chief Executive Officer of the asset manager GAM for over 10 years, having previously co-founded and ran Diversified Credit Investments, a fixed income asset manager based in San Francisco. 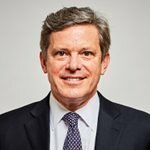 David previously held various senior management roles with Swiss Bank Corporation and UBS, and was a Partner and Executive Committee member of O’Connor & Associates, the firm which pioneered derivatives pricing and risk management. He holds a BSc and an MSc degree in Electrical Engineering and Computer Science from the Massachusetts Institute of Technology. Peter is a co-founder of Greensill and sits on the Board. He is based in Queensland, Australia where he owns and runs a leading agricultural business. Al is Greensill’s CFO responsible for financial, treasury and tax matters and advising the Board on related issues. 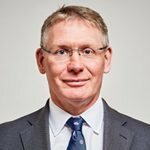 Al has over 25 years’ experience with roles at MSCI, Aviva, UBS and Accenture where he was responsible for establishing best-practice finance processes and driving growth. Al is a chartered accountant (FCA) and qualified treasurer (AMCT); he holds a BSc in Electrical & Electronic Engineering from Bath University. Chris is responsible for the firm’s operations and development. He also maintains a number of strategic client relationships across UK, Europe, Middle East and Africa. Prior to joining Greensill, Chris was principal in a consultancy advising banks, corporates and technology companies on Supply Chain Finance design, delivery and optimisation. Previously, Chris was instrumental in the early stage development of Morgan Stanley’s Supply Chain Finance offering, with responsibility for European origination and execution as well as the firm’s analytics team. Before entering the field of Supply Chain Finance, Chris held a number of supply chain-related roles with major multinationals. 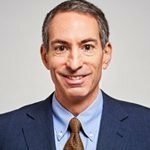 Jonathan is Greensill’s General Counsel and Company Secretary, directing the Company’s legal affairs and advising the Board on legal, compliance and regulatory issues. Jonathan has had a career in both international private practice and industry and has spent a large part of this providing strategic advice and structuring, negotiating and documenting high value and complex transactions for both governments and industry. He has been a practicing Solicitor of the Supreme Court of England and Wales since 1998. Danyon is the CEO of Greensill Bank, based in Bremen, Germany. Prior to this, Danyon was Chief Executive Officer of Privatbank 1891, one of Germany’s oldest commercial and retail banks. Previously, he was a member of the Global Transaction Services executive board at The Royal Bank of Scotland and led several deal teams for RBS on M&A projects in Europe. Steven is responsible for distributing all of Greensill’s Supply Chain Finance assets. 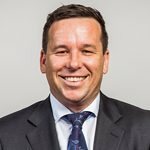 Prior to joining Greensill, Steven had seventeen years of experience within the fixed income markets at Morgan Stanley, working across credit sales, syndication and securitised products. Most recently, he headed Morgan Stanley’s short term credit sales team. Richard is responsible for originating all structured capital solutions for Greensill’s US clients. Prior to joining Greensill, Richard was part of the Citi Trade Finance team responsible for overseeing the Technology, Media and Telecom, and Healthcare industry sectors in North America. While at Citibank, Richard was responsible for successfully putting in place the largest Supply Chain Finance transaction in North America with one of the leading telecom providers. Myrjam is responsible for sales and origination across Greensill. 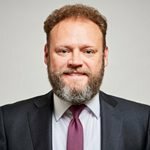 Myrjam has over 20 years of experience in Project Finance, Structured Finance, Trade and Export Finance, having previously worked at Deutsche Bank and Citi. 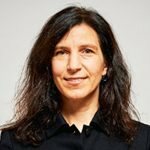 She was a member of the German Government’s Expert Circle on Export Finance and headed the Financial Services Committee of the German American Chamber of Commerce. 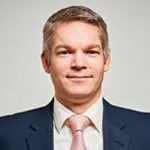 Ilkka is responsible for originating and structuring innovative financial solutions for clients across the Asia Pacific region. Prior to Greensill, Ilkka held senior global roles at MyriadGroup AG and Philips, having previously served as CEO for three Australian listed companies and growing businesses to a global scale across a number of industries. 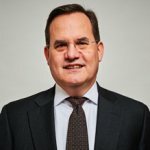 Ilkka is a chair at the CEO Institute and the National Suicide Prevention Institute and has over two decades’ experience in the Asia Pacific region. Matthew is responsible for originating structured capital solutions for Greensill clients in the Asia Pacific region. Prior to joining Greensill, Matthew had a career in corporate advisory and investment banking, before holding various roles at board and C level for various ASX listed companies. 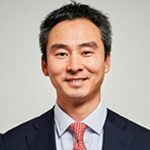 Matthew holds a Masters of Finance and MBA from one of Asia’s leading business schools and has founded and exited businesses in Australia and the US. Brett is responsible for all aspects of credit and operational risk within Greensill. Prior to working at Greensill, Brett headed the EMEA Trade Credit Risk team at Citi where he was responsible for managing the credit and operational risk for the Letters of Credit, Trade Finance, Export Credit Agency, Commodities, Insurance Letters of Credit, and Supply Chain businesses. Prior to that he held various risk and front office positions at Commerzbank, Barclays Wealth and National Australia Bank. 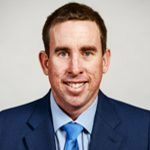 Brett holds a Bachelor of Laws from the University of Queensland, a Masters in Applied Finance & Investment from Macquarie University and a Post Graduate Diploma in Management from Melbourne Business School. 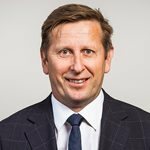 Bart is Managing Director at Greensill and has over 20 years of experience in Treasury, Corporate Finance, Purchasing, Supply Chain, Structured Trade Finance and Working Capital Solutions. 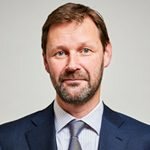 Bart held various positions at Phillips including Global Head of Treasury Risk consultancy and CFO of Philips Supply Chain and Purchasing before joining Citi as EMEA Head of Supply Chain Finance. Most recently, Bart was Global Head of Business Development for HSBC Global Trade and Receivable Finance, before joining Greensill. Ian is responsible for originating structured capital solutions for Greensill clients across EMEA. 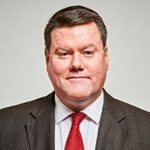 Prior to joining Greensill, Ian had seven years of experience providing Supply Chain Finance solutions to clients across all sectors, firstly at Banco Santander and most recently within the Citi Trade Finance team in EMEA. While at Citi, Ian was responsible for successfully implementing many of the largest global Supply Chain Finance programmes across a range of sectors, including FMCG, Industrial, Packaging and Telecommunication. Mike is responsible for originating structured capital solutions for Greensill clients with a focus on structuring and analysing the creditworthiness of transactions. Prior to Greensill, Mike spent 4 years originating and providing structured trade solutions to Citi clients globally, primarily in the channel finance sector. Before Citi, Mike was active in the securitisation market, originating asset based loans for the NY branch of WestLB and prior to that providing credit analysis for transactions insured by Financial Security Assurance. Mike began his career rating structured finance transactions at Moody’s Investors Service. John is responsible for originating structured capital solutions for Greensill clients across EMEA. 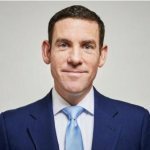 John was previously JPMorgan’s Head of Supply Chain Finance Product & Advisory for EMEA. 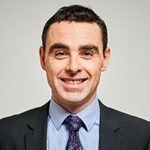 Prior to joining JPMorgan, John was a senior member of the Supply Chain Finance team at Citi and responsible for successfully implementing a range of complex global SCF programmes including a winner of the Adam Smith Treasury Award. He has ten years of industry and management consulting experience prior to banking. 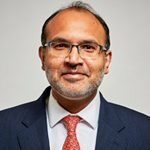 Wasif is a Managing Director in the global asset distribution team, with specific responsibility for the banking sector. Wasif has 17 years of banking experience with over 15 years at Citi in various roles in the corporate banking, credit, financial institutions and trade finance teams. Prior to joining Greensill, Wasif was the EMEA Head of Trade Asset Distribution for Citi. Wasif has extensive experience in structuring, documentation and distribution of trade finance assets in general and Supply Chain Finance/AR deals in particular. Ludwig is a Managing Director in the global asset distribution team. Ludwig began his career 20 years ago at Kleinwort Benson in London and New York in the M&A department. From 2000 he led various private equity transactions in Europe at Thomas Weisel Partners and was Head of Corporate Finance at Hoist Finance, one of the leading non-performing loan purchasers in Europe. Tim Armstrong is a member of Greensill’s European team, focusing on developing partnerships within EMEA. Prior to joining Greensill, Tim worked at KPMG managing a Supply Chain Finance solution for clients which utilised partnerships with leading FinTech companies in combination with KPMG’s suite of advisory services. 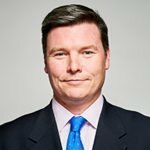 Prior to that, Tim worked in the corporate finance team in Deloitte, working closely with the UK Government’s Department of Business, and at Morgan Stanley, in their securitisation team. Charles is responsible for managing Greensill’s structured capital solutions in the Midwest. Prior to joining Greensill, Charles was part of HSBC’s Global Trade and Receivables Finance team responsible for Midwest and Upstate New York regions. Prior to HSBC, Charles was part of the BMO Capital Markets International Group responsible for origination in North America. Charles has structured, closed and implemented numerous supplier finance programs throughout his carrier and received recognition in the form of HSBC’s 2015 Trade Transformer and BMO Capital Markets 2011 International Deal of The Year awards. Steve is responsible for originating structured working capital solutions for Greensill in the US and also heads North America supplier on-boarding. Prior to joining Greensill, Steve worked at Deustche Bank and Citi, focusing on origination and supplier on-boarding. Over his career he has led over 50 Supply Chain Finance programmes globally, on-boarding over 1,000 suppliers representing $30bn in annual spend. Joe is responsible for originating and executing innovative financial solutions for Greensill clients. 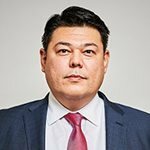 Joe has over 14 years of experience delivering Trade Finance solutions to a broad spectrum of public and private sector organisations globally. Prior to joining Greensill, Joe led teams in the trade finance space with Citi and Prime Revenue. While at Citi, Joe managed several of the world’s largest global Supply Chain Finance programmes. At PrimeRevenue, Joe built and managed a global team to optimise customer outcomes. Joe holds a Bachelor’s of Science in Industrial Management from the Georgia Institute of Technology and is a board member of the Danish Club of Washington DC. John is responsible for US and Latin American Origination, structuring, credit and execution. Prior to joining Greensill, John headed Capital Markets at HSH Nordbank’s NY Branch. Previously, John underwrote credit at Barclays and originated and executed structured finance transactions at Assured Guaranty, Bank of Tokyo-Mitsubishi UFJ and WestLB. John is a FINRA registered Securities Principal and Registered Representative. Before joining Greensill, Eleni was Account Manager in Citi’s Supply Chain Finance business in EMEA, where she was responsible for running and looking after 61 clients, their programmes and their top suppliers. Eleni also led the on-boarding efforts across EMEA. Prior to joining the Supply Chain Finance business, Eleni worked in trade finance, looking after Citi’s Platinum clients in various markets, focusing on Greece, Spain, Nigeria and France. Prior to Citi, Eleni worked for Ernst & Young where she was responsible for a portfolio of 140+ clients. She speaks four languages: Greek, English, Spanish and French. 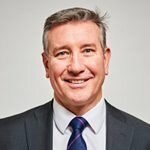 Trevor is responsible for fostering and maintaining the strong relationship Greensill has with its clients and partners. 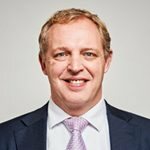 Prior to joining Greensill, Trevor was an Assistant Vice President at Citi where he was responsible for managing Citi’s priority Supplier Finance Buyer Programmes from their inception to maturity, achieving year on year growth. Trevor also led the EMEA on-boarding team out of Dublin and partnered with clients’ procurement and treasury teams to determine and implement on-boarding strategies.